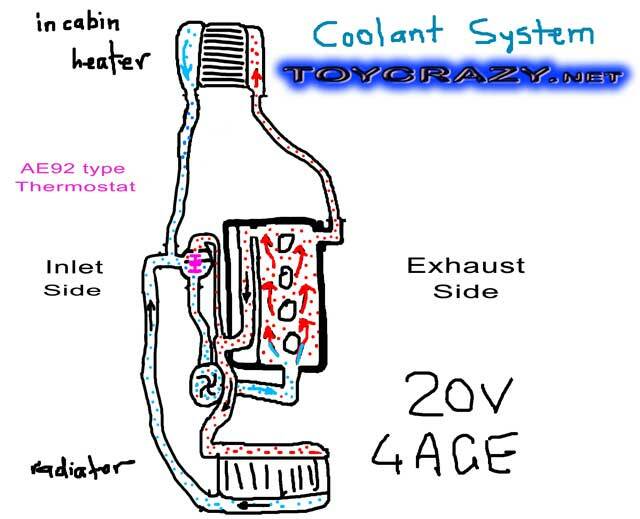 Some idea's for rwd conversion on the toyota 4age 20v engine. 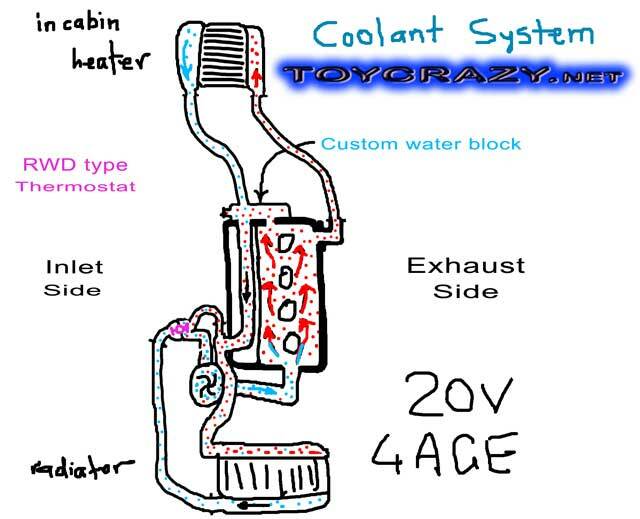 The 20v come in ae101 and ae111 corolla Levin and Trueno along with the Carib and possibly others. 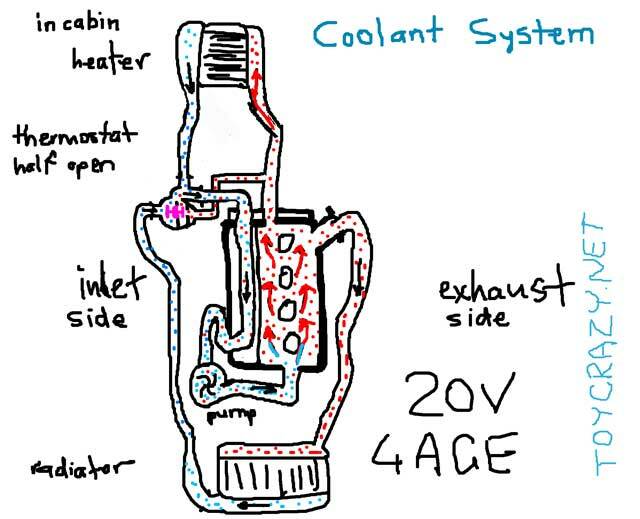 4age thermostat's regulate cold water ENTERING the engine rather than the usual hot water exiting the engine.. therefore the 4age thermostat requires a bypass line to initially get hot water to it. 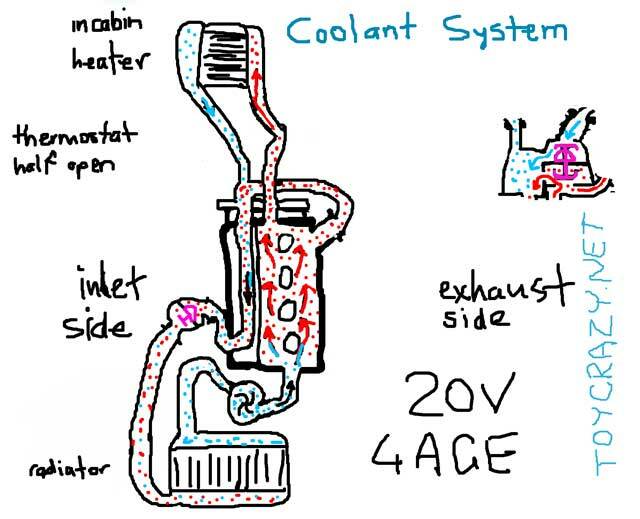 When modifying the cooling system from standard.. try ensure the 'hot water out' hose does not drop down below the head or top radiator tank otherwise air locks could become a problem. 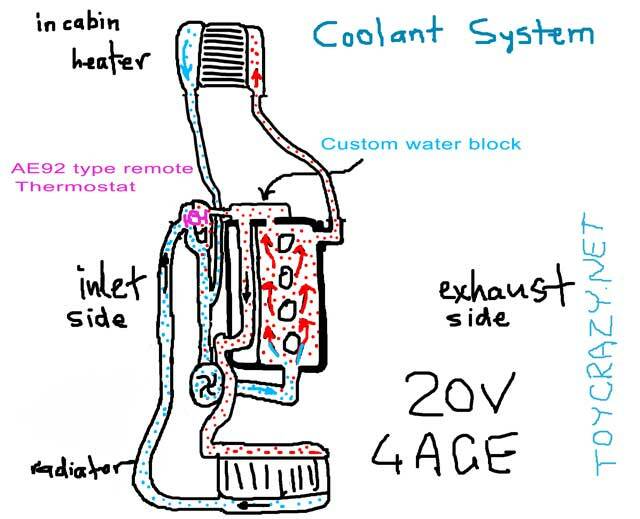 If there's not enough room for the std thermostat off the back of the head in rwd configuration and cutting the firewall is out of the question.. then customising the water system off the back of the head is required. 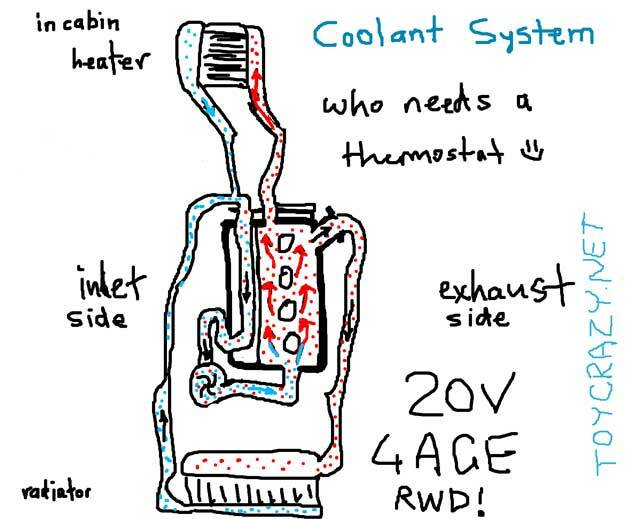 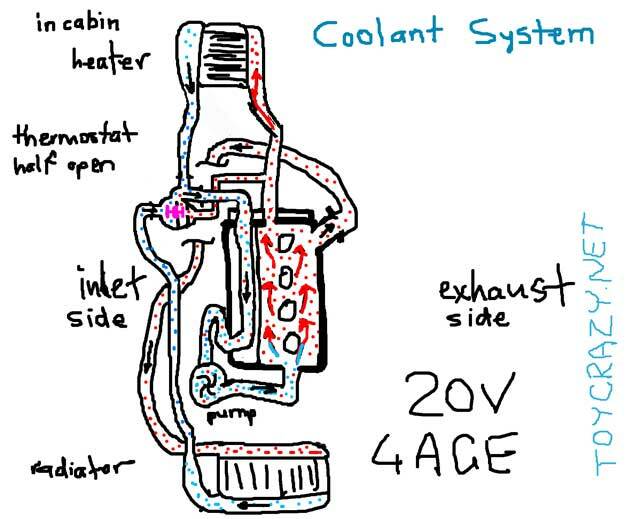 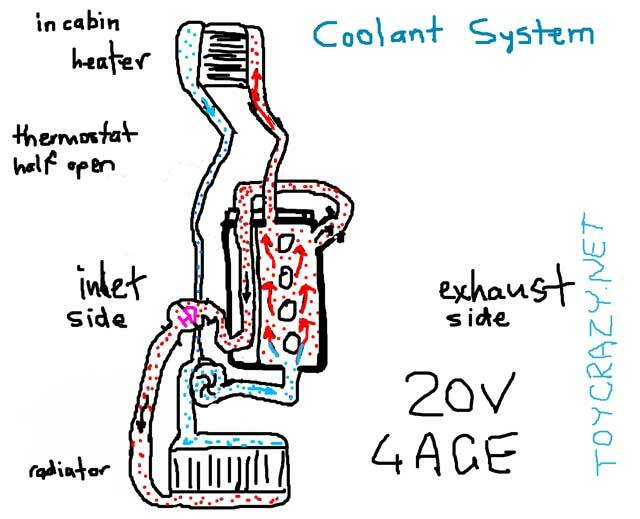 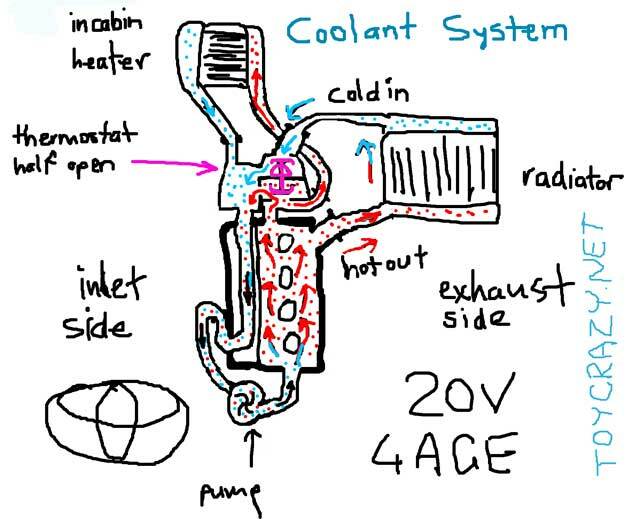 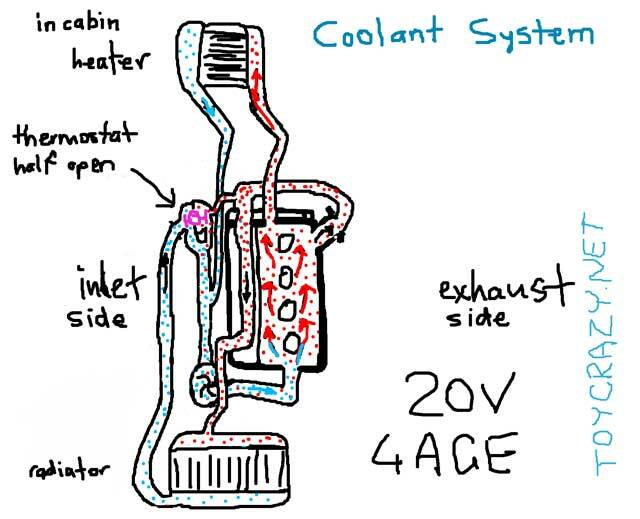 The most basic of cooling system could be rwd 16v 4age water pump and thermostat and a direct channel between the two holes off the back of the head which will direct hot water thru the intake side passage and then have a custom pipe come out of the front of head to the top of radiator. 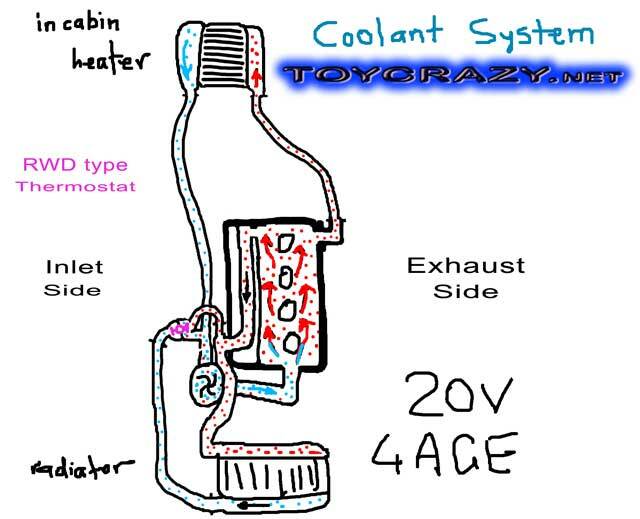 std 20v cooling system ae82/ae92 remote thermostat, custom adapter plate on back of head no thermostat.